People of Puerto Rico celebrate the US public holidays as wells as their own traditional feasts and events. Puetro Rico Discovery Day is one of the own Puerto Rican public holidays, that is celebrated on November 19. 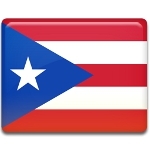 Celebration of Puerto Rico Discovery Day is connected with the fact of discovery of the land by Christopher Columbus in 1493. He set sail on his second voyage on September 25, 1493 and already on November 19 he landed on the island. He named it San Juan Bautista, but the name was changed during the 1520s after the name of the most developed and famous settlement of the island. The name of the settlement was changed to San Juan to avoid misunderstanding and confusion. Puerto Rico Discovery Day is a public holiday. The schools, banks and public offices are closed on this day. A grand festive parade is held, people also enjoy fairs and other cultural events. Celebration of Discovery Day also marks the beginning of the Christmas seasons. The festive decorations of the Christmas trees are lit up, people start preparing for Christmas.